Woodland Cottage is a cute character cottage, nestled in a quiet cul-de-sac surrounded by lovely trees. It is a great place for a family holiday with lots of room to run around outside. There is also a sunroom which is a lovely sunny spot for having a quiet read or a glass of wine. There is only a short walk to the town centre and great restaurants and also to beautiful Lake Te Anau. Beautiful Milford Sound is only a 2 hour drive away. 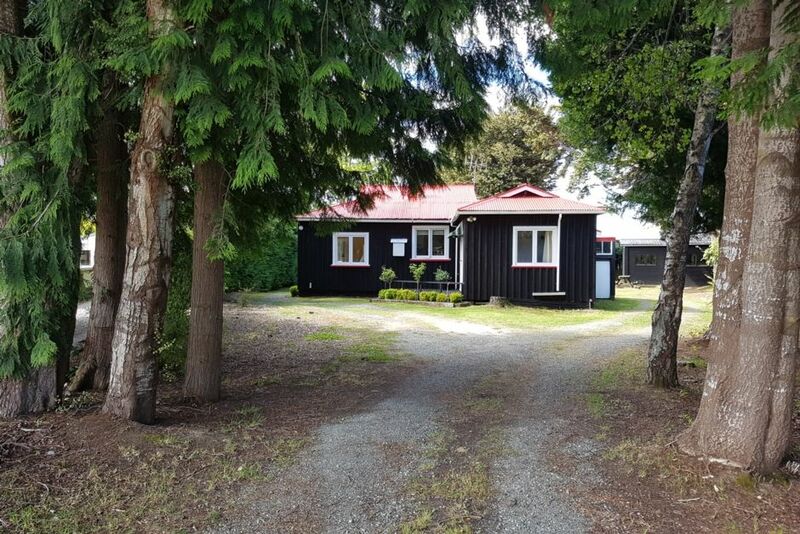 Te Anau is right in the heart of Fiordland and is the convenient base for walking the Milford Track or any of the other Great Walks, which are close by. Guests to leave cottage clean and tidy please. At this stage there is no Wifi, but there is free Wifi at the library in town and there are also some internet cafes. Please note this cottage is accessed by steps which could prove difficult for the elderly. My husband and I have lived in Te Anau for more than 25 years, so have a good knowledge of the area. We have owned our Engineering business here for 14 years and are very busy! We just love Woodland Cottage and have also stayed there and thought it was great! At the moment we are putting in a new bathroom, which will be great, even though we have had guests telling us to not change a thing! I just loved the character of this Cottage and thought it would be a great holiday place and I also love all the trees that its surrounded by. Warm character cottage in a quiet area, within an easy walking distance to town. Surrounded by beautiful trees and very private. There is room around the back of the Cottage for off street parking. Very clean and modernized interior. Easy to access town. We had 4 adults and two teenagers staying and it was very comfortable and the open fire was wonderful in the evenings. A tip about Te Anau - if you are staying at a busy time of year, book restaurants well in advance if you want to eat out! We loved the charming cottage and all its amenities! It was easy to find and had everything we needed for our stay. Would love to return one day. We have enjoyed staying at cottage. The cottage is well equipped and everything you need is there. Totally met all of our expectations. Very well equipped, comfy beds and good shower. Great location, easy walk to village & restaurants etc. Would definitely stay here again. Lovely place, quiet, well equipped and plenty of space. Wonderful cottage in fabulous Fiordland! I can't find enough superlatives to describe this great little cottage. It was warm, cosy and had everything we needed for our weekend away, exploring Fiordland National Park. We will definitely be back, in fact we're looking at a July school holiday getaway...I'm excited already!